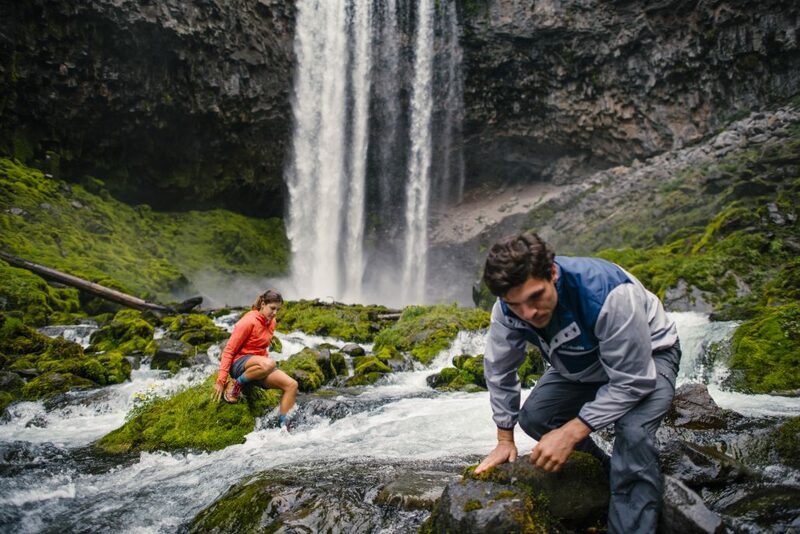 There are few things as romantic as a great day outdoors – stunning overlooks, rushing falls, and the shared experience of overcoming obstacles together. Whether you’re looking to hit the trail with a new crush or your main squeeze, the Asheville area is full of scenic trails long and short, that are sure to fan the flames of romance. Here are 7 of our favorite spots for an outdoor date. French Broad River Greenway: This stroll is perfect for new relationships. It’s scenic, yet close to town, well trafficked, and gives you the opportunity to walk as much or as little as you’d like. We recommend meeting up at the Craven Street parking area. Its close proximity to New Belgium and White Duck Taco make it excellent for grabbing a post walk bite or brew. Richmond Hill Park Trail: A close to town option, that offers a more wooded and slightly more secluded feel. Richmond Hill’s trails offer options ranging from a 3.5 mile loop to a short out and back. Wanna switch things up? The park also features a great disc golf course. If things go well, wrap up your date with a cocktail and views of the French Broad at The Bywater. Craggy Pinnacle Trail: Ready to commit to a romantic drive on the Parkway? A 45 minute drive will get you to the parking area of Craggy Pinnacle. It offers sweeping 360 degree views without a lot of effort. The short length of this trail (.9 mile roundtrip) makes it perfect for a sunset picnic. The high elevation means it’s always colder here than you think; don’t forget to bring blankets and hot beverages. Max Patch: Whether you opt for the 1.4 mile short loop or the 2.4 mile loop, this hike on the AT offers some of the best views around. If you’re out that way in April, pack in fresh cookies or other goodies and share a little “trail magic” with passing AT hikers. You’ll have a great day meeting new people, and it’s a surefire way to impress your date. Graveyard Fields: What could be better than an easy hike great views and wild blueberries? How about ending your hike with refreshing waterfall dip? This 3.2 mile hike has it all. Don’t forget to pack a picnic for a perfect day outdoors. Cat Gap Loop and John Rock: This 4.4 mile hike is fairly difficult, so make sure you come prepared with proper footwear and trekking poles. If you and your date are up for the challenge, your hard work will be rewarded with fantastic views of some of Pisgah’s most iconic landmarks. End your day with a pint at Ecusta Brewing and some Hawg Wild BBQ for a perfect day in Pisgah. Graybeard Trail: This lengthy out and back is great for a full day of hiking or a nice overnight. After about an hour and a half on the trail, you’ll encounter a beautiful waterfall. Push another 45 minutes (just past the shelter) for even more fantastic views. If you’re ready for an overnight, there are great campsites near the waterfall and, of course, at the shelter.